Break free of the algorithm with a crowd-sourced playlist of tracks to welcome the New Year. Everyone has their ritual to welcome the New Year: some people journal, some people recover from the night before — and some people hit play on their favorite album. 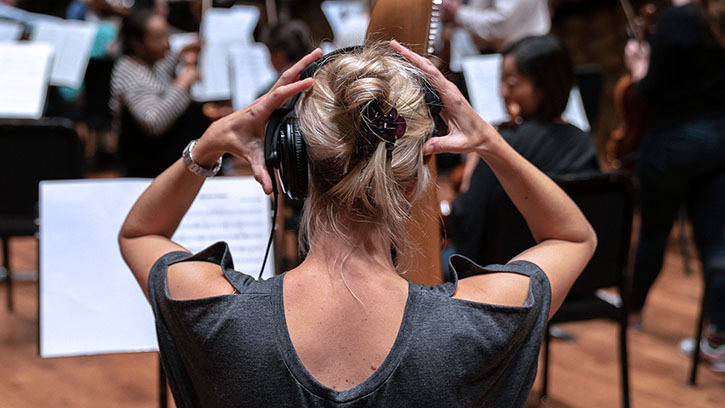 We know Seattle Symphony audiences have eclectic and wide-ranging tastes in music, so we asked: what’s the first song you played in 2019? We compiled your responses from Facebook and Instagram and created a Spotify playlist of your suggestions. The result? A playlist beyond genre filled with familiar favorites and new discoveries. Your answers ranged from classical favorites like Bach, Chopin and Ravel to Flava D, Marvin Gaye, Kendrick Lamar and Steely Dan. We were also delighted to see contemporary classical composers on the list, including Jessie Montgomery, Sarah Neufeld, Caroline Shaw and Terry Riley. If you’re looking for tracks to break the listening algorithms, or just want something new, take a listen now! Is your first song of 2019 missing? Tell us your answer on Facebook Messenger or Twitter and we’ll add it to the playlist! Make a New Year’s resolution to listen boldly in 2019! From film presentations to genre-breaking artists to world premieres, there is something for everyone at the Seattle Symphony.